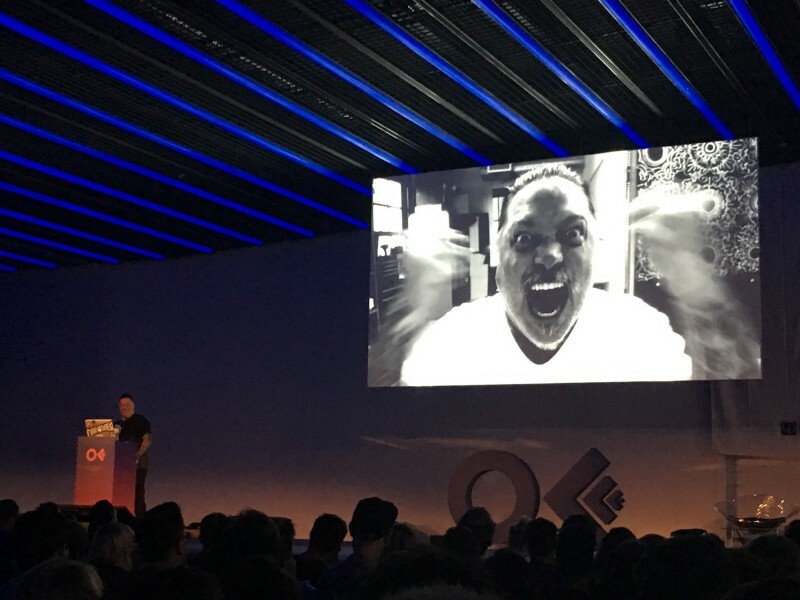 Another year and another OFFF festival for RoomCR6. 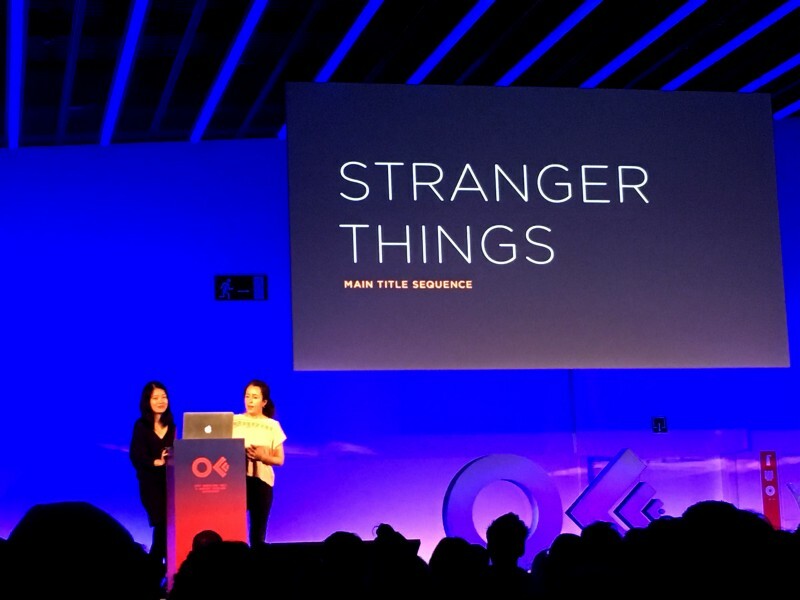 We were really excited to be heading back to sunny Barcelona to attend the yearly OFFF festival which brings together some of the top creative talent from across the globe. As always we have come back fully refreshed and inspired by some great talks.Here are our highlights from this year’s festival. 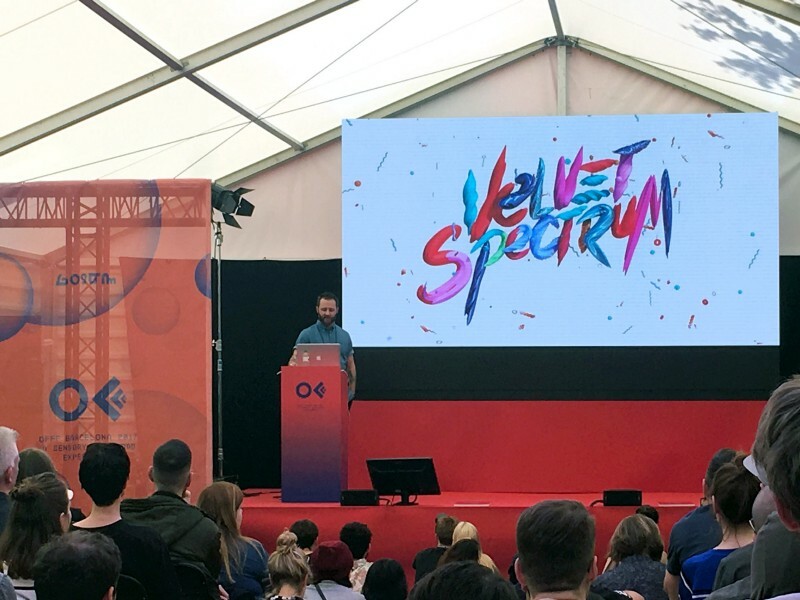 Adam Kurtz was one of the first standout talks of this year’s OFFF festival as he spoke mainly about feelings and being a creative. He explained how using emotions and channeling them through your work leads to far more interesting pieces. He took us through some of his work and explained all the feelings he had harnessed to produce the final projects. The incredibly talented and pretty damn hilarious guys from Foreal took the stage in the Openroom and gave the audience a visual guide through their work, work flows and even, in a very rare instance, showed us the crap client jobs that all studios have but hidden away in the deepest, darkest parts of their harddrives. Their focus was mainly on how personal projects lead to paid projects, even though sometimes it takes 6–12 months. 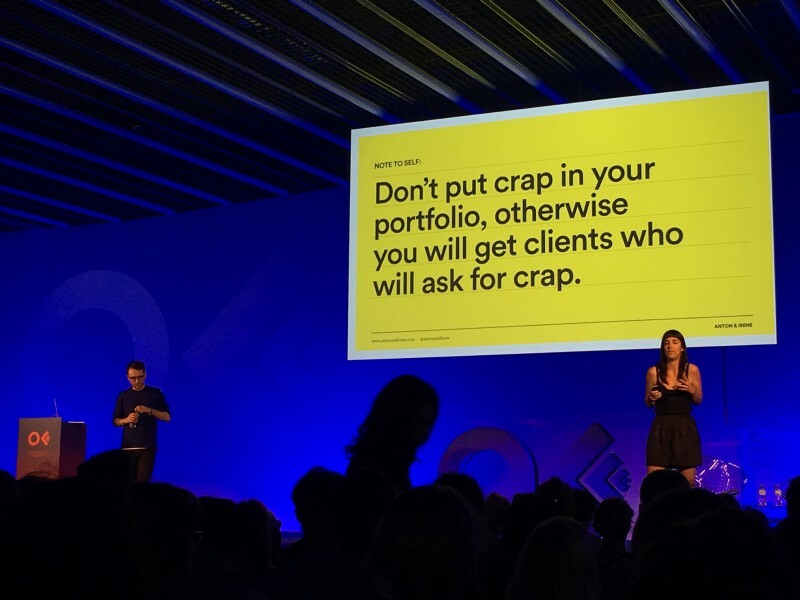 They also showed examples of how they had to deal with clients wanting ‘exactly the same’ work as a previous project and how they had to convince them of another similar route. Headlining the first night and not really needing an introduction was the film & tv title design powerhouse Imaginary Forces. They showed the behind the scenes working on several title sequences from Broadwalk Empire, Blacksails to the most well known title Stranger Things. We were shown versions iterations of the final title sequence and even a cut together fan parody reel. 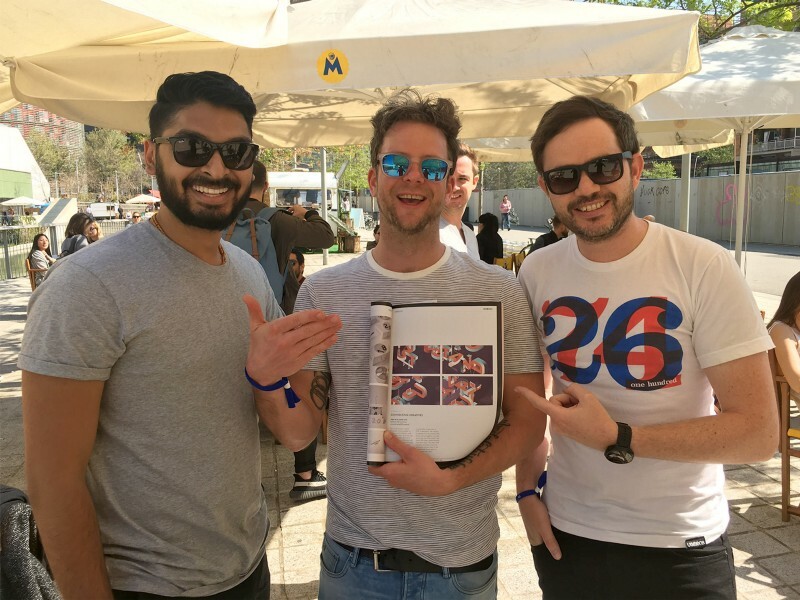 We were reunited with our friend and incredibly talented illustrator Rutger and gave him a copy of the ComputerArts magazine we were featured in for the work on Join Up & Stand out. It was a pleasure to be taken through the various years of work from the super talent Velvet Spectrum. We got to see the beginnings of his career and style, transforming him to where he is today. The main take away from his talk seemed to be just about ‘making more’. Only through constant focus and applying yourself on a day-to-day basis can you reach levels of experience and high skill in your work. Anton & Irene gave us a fun, inspiring and very informative talk covering two of their self initiated projects. They explained how they use a matrix of Money vs Satisfaction vs Expenses to help inform what type of project they want to create and also when to take on paid client work. One of these projects was a large, interactive documentary based on Irene’s childhood (One Shared House). 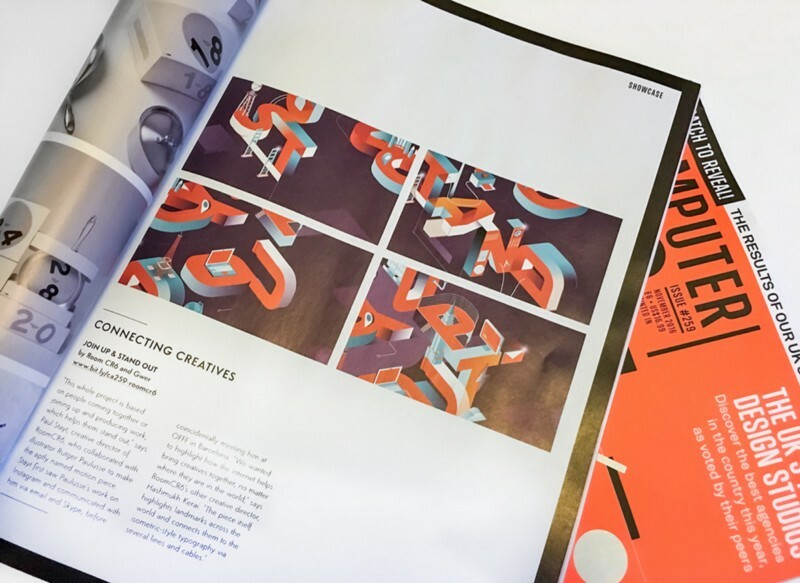 They spoke to us about the redesign of The Met website and how this project paid very well, albeit with less satisfaction and also explained how they survived the bombshell of The Met rebrand and how the community took a rather negative stance to it. Luckily Anton & Irene had nothing to do with the rebrand and only worked on designing and delivering the website. Gmunk was at it again after we saw him 2 off festivals ago. 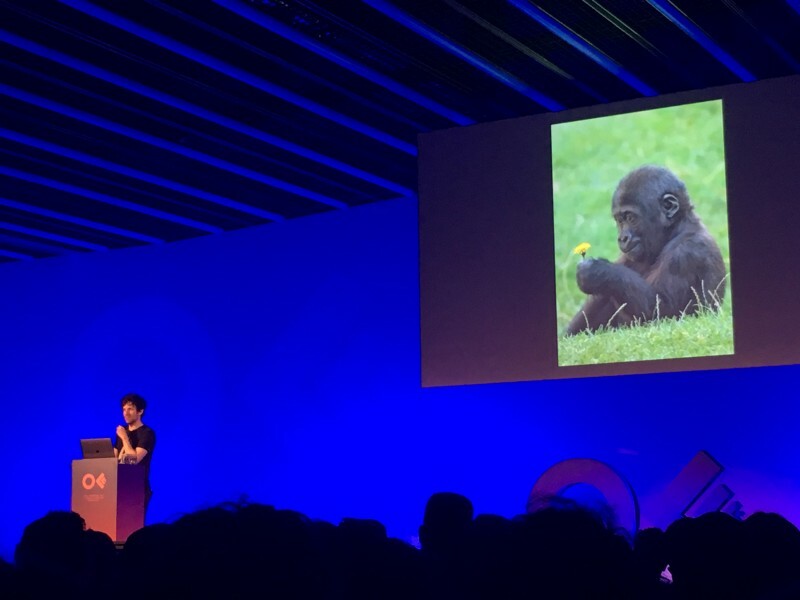 His crazy, off the rails and downright hilarious approach to presenting, coupled with his many years of experience always boasts for an amazing talk. He showed us his recent work and how this led to clients coming to him to evolve some of his previous projects he had done to match their brand. He also spoke about his photography project and how it shapes a lot of his current art. Joshua Davis took us on a timeline of his recent years of work. 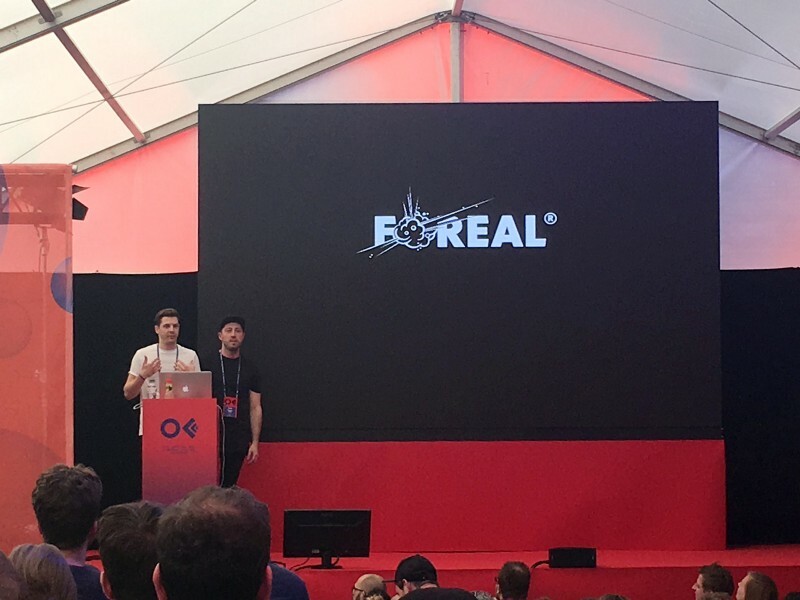 He spoke about how and why he didn’t do a talk at OFFF earlier as he wanted to build up a solid portfolio of work first. His love for experimentation has led him to produce audio visuals for the likes of Diplo, Pharrel and many more big artists. His love for creative coding and crazy experimentation has also led him to produce work that was shown during the Superbowl. 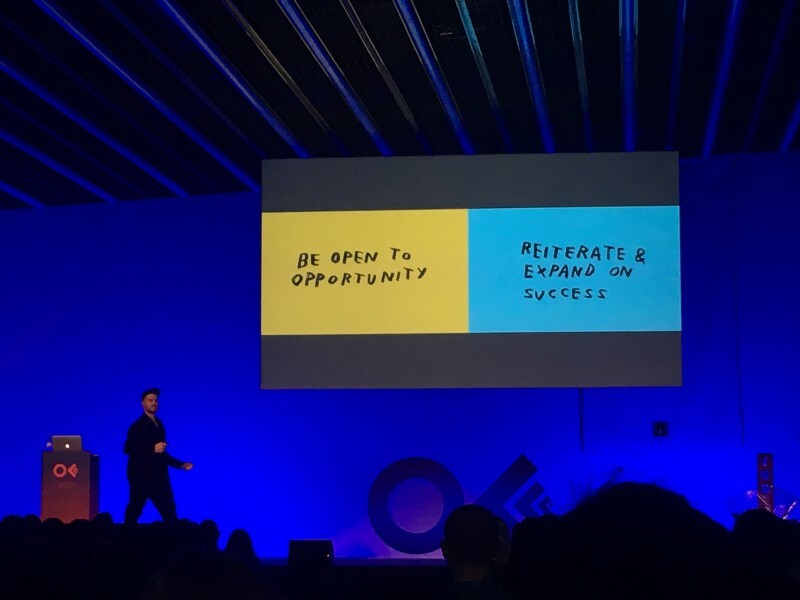 One of our favourite lines from his talk and a solid piece of advice was, “Just throw on your favourite artist’s music on your experiments, they will hire you. Do you like Deadmouse? Throw his latest track on an experiment, he’ll call you. It’s that simple!”. 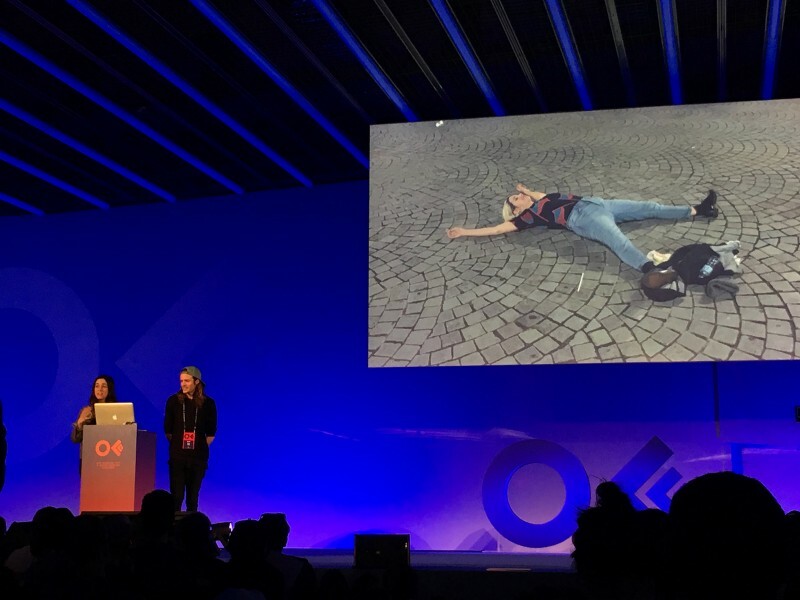 At last the OFFF festival main titles kicked off and we were entertained by an incredible and complex video by the High Quality, Low-Fi creative duo Vallée Duhamel. The motion graphics, choreography and art direction gelled together so well creating an outstanding set of main titles. They handed out pieces of paper to an audience of a thousand plus and asked us all to create paper planes, as a homage to their Low-fi style, then they got us to throw the planes at the stage simultaneously. This created a swarm of flying, multi-coloured confetti and it was a great way to include the audience in the final part of an incredible OFFF festival.